Stanley-cup, super-bowl and the world-Cup: these are the sport that countries all around the world pride themselves upon. But for Kendra Jackson, hiking the Appalachian Trail (AT) is what she is aiming to pride herself with. 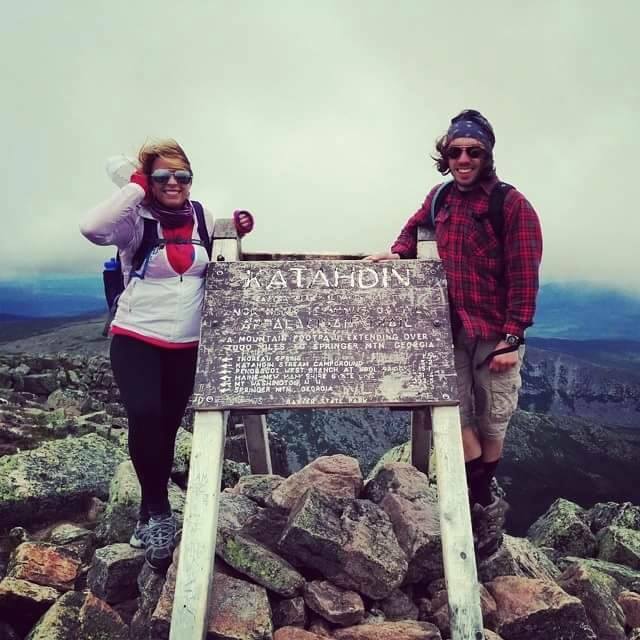 Graduating from Husson University in 2015, Kendra needed a new project to devote her time and attention to.Through the planning stages Jackson decided that not only did she want to hike the trail, she wanted to hike it for charity. Jackson met a thru-hiker, someone who hikes the entire AT from Georgia to Maine in one shot, named Pete Relyea. Jackson summited Katahdin this past summer. A complete stranger at the time, and now a good acquaintance of hers, Relyea told her about his experiences on the trails from when he hiked the AT, and it was hard for Jackson not to want to hike after that. Since then every thru-hiker that she has met has just increased her will to do it with their positivity and love for the AT. This is not her first walk in the park when it comes to hiking trails. During the summer of 2014, Jackson traveled over New Hampshire’s White Mountains, a hike that took approximately three and half days to finish. According to Jackson, the cost of the trip will be over $3,000 per person between gear, food, tent sites, and the plane ticket to Georgia. It was a trip that Jackson has spent the past nine months researching. According to Jackson, the weather in Alpine Zone ,the area on a mountain above treeline, is unpredictable. Jackson has to plan for the worst case scenario while also taking into consideration the weight of all her gear. Most of her gear, ten, backpacks, and stuff sacks, will be made out of cuben fiber, which is a waterproof material. Jackson will be living out of her backpack the entire trip so every ounce of weight counts. “Then with waterproof jackets, pants, and shoes, and layering options for every kind of weather we should be set. We also know when to tell that conditions are too dangerous, in which case we can always stop and wait it out,”said Jackson. Jackson plans to go with her boyfriend and her best friend and plans to use a GoPro to document and record her adventure. When she is not capturing her moment through video or living a life of isolation, Jackson plans to call and write letters to her family. Photo provided by Kendra Jackson.